We are interested in the 5th phase Parayan. Please include the following names. we are regularly reading and don't stop the Parayan. Sai satcharitam Parayan is our strength and we gain energy more on Thursdays reading His Divine and Loving words. I am more than thankful for the entire Dwarakamai GRP dear Admins and moderators for their great service. 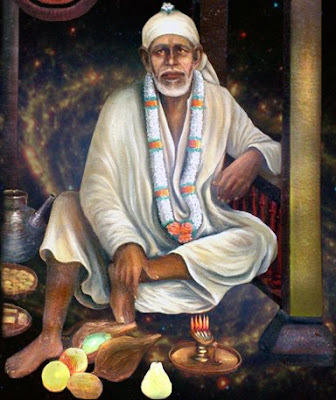 May Sai bless all with His Presence in each of us. I confirm that me, karthikeyan, vasumathy, kalyani, Chitra and shrisudha will remain Parayan members in this Fifth Phase as well. Thanks Sai Father and Dwarakamai GRP. we priymvish family would like to humbly request you to keep continuing with the parayan, this is off-course for a good cause, so would like to mention our full dedicated support to this parayan group in general and thank and wish dwarkamai moderators for there self less dedication in maintaining this blessed site and giving us an opportunity to be part of it. "YOUR WORK IS PRICELESS"SAIDEVA BLESS YOU AND OUR DWARKAMAI FAMILY. Please continue the 5th phase prayana. it is a very kind thing, where we can pray for ourselves and for everyone. please include my name. Thanks - It is indeed good intiative I request you to continue till net connectivity is their. Please include me in 5th phase. pls include my name also. Kindly include me in the 5th phase of group parayana. Am sure rest of us also wants to keep this goin.. Sai pls bless us all . Thanku moderators and admins for ur sincere effort . As confirmed on 30.4.2015, I hereby reconfirm that I would like to participate in the 5th Phase of Group Parayan and shall be reading the Sai sath charitham as per the allotment. I humbly request you to consider me in the group parayan list. BLESS LOVE, LUCK, HEALTH, WEALTH AND HAPPINESS ABUNDANTLY! I confirm to participate in the 5th phase. Please include my name. Sai Saranam. In the list above my name is missing. Kindly add me too.